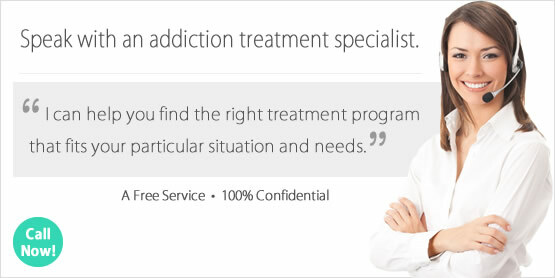 Looking for a Drug Rehab or Alcohol Treatment Center in Missouri? Drug Rehab in Missouri is an opportunity for individuals to utilize something much more effective than willpower to overcome a drug or alcohol problem. Individuals with even the best intentions to quit using drugs or alcohol relapse when they don't have the opportunity to discover what triggers the problem and how to make changes in their lives to prevent it in the future. This is what drug rehab in Missouri is all about, and there are rehabs in the state for every type of addiction not matter how advanced or severe. So speak with a treatment counselor at a drug rehab program in Missouri today to find out what options are available in your state and which program is going to work best for you. In a single-day count in 2013, 23,028 individuals in Missouri were enrolled in substance use treatment which was an increase from 21,004 individuals in 2009. Among individuals in Missouri enrolled in substance abuse treatment that year, 33.7% were in treatment for drug use only, 20.6% were in treatment for alcohol use only, and 45.7% were in treatment for both drug and alcohol use. Amphetamines and opiates are the most serious drug problems in Missouri, and both categories of drugs require extensive treatment when someone is trying to overcome an addiction to them. Amphetamines, including meth and crystal meth, and opiates are both extremely physically addictive and the dependence to these drugs is very difficult to overcome even in the best circumstances. Individuals in Missouri who are looking for treatment for amphetamine or opiate dependence should start looking for the most comprehensive and intensive treatment possible in the state. Alcohol is also a very popular drug of choice in Missouri, where 20% of treatment clients are experiencing an alcohol problem exclusively and an additional 17% are experiencing a poly-drug abuse problem a primary alcohol problem in addition to a secondary drug. Alcohol treatment that encompasses both alcohol and drug abuse is essential for Missouri residents who will need to treat both problems, starting with a safe detox and then extensive follow-through with a comprehensive treatment plan. For most Missouri residents, 12-step meetings aren't intensive enough to meet their treatment needs and result in the types of outcomes they are anticipating, with AA only have about a 10% success rate for example. Alcohol treatment clients who haven't had success with such outpatient services should look into the inpatient and residential treatment options in the state which provide more aggressive levels of intervention. There are around 260 drug rehab programs in the state of Missouri, including 241 which offer a variety of outpatient services. Many provide regular outpatient treatment, but there are also around 160 programs which provide intensive outpatient treatment. An additional 73 provide day-treatment/partial hospitalization outpatient treatment for clients who require more intensive services such as those who may need to address a co-occurring mental health disorder. Additionally, there are over 2,800 clients receiving opiate maintenance drugs from the 30 outpatient facilities which administer methadone and buprenorphine to opiate dependent clients who prefer this option instead of abstaining from opiates completely. Outpatient treatment is not suitable for everyone, and opiate maintenance doesn't have to be the only solution opiate dependent clients look to for help. Clients experiencing an increased level of dependency should speak with treatment professionals to determine which inpatient or residential treatment program is the most suitable alternative, so that they can receive actual treatment for their addiction. There are 58 residential drug treatment facilities in the state, 47 of which provide short-term treatment for 30 days or less and 24 which provide either both short or long term treatment or long term treatment exclusively. There are also 7 hospital inpatient programs in the state of Missouri. What does Inpatient Rehab in Missouri Involve? The inpatient and residential non-hospital treatment in Missouri is available in either a short term 30-day format or a long-term stay on 90-120 days. For individuals who have struggled with chronic drug addiction or alcohol abuse and dependency a residential program provides the intensity of treatment and appropriate environment for their circumstances. Clients in inpatient and residential treatment in Missouri take part in intensive treatment services based off of a tailored treatment plan. As opposed to outpatient clients, inpatient and residential clients in the state have access to a much more extensive array of treatment tools including individual and group substance abuse therapy and counseling, cognitive behavioral therapy, and even holistic treatment in some cases. Most outpatient facilities don't provide access to treatment that specifically addresses a dual-diagnosis, and if it is determined that the individual needs to address a co-occurring mental health disorder this can be effectively addressed in inpatient and residential treatment in the state. What does Outpatient Rehab in Missouri Involve? Over half of the outpatient clients in Missouri only take part in regular outpatient treatment, which is the least intensive treatment available and typically involved clients in individual and/or group counseling one day per week or more in some cases. Only about 24% take part in more intensive outpatient treatment, and as discussed about 12% have decided to take the route of methadone or buprenorphine as part of an opiate maintenance routine that isn't actually treatment in terms of addressing the actual causes of addiction and becoming completely free of drug dependence. While outpatient programs are obviously the most convenient options, outpatient drug treatment a couple of days a week is not sufficient for someone who a chronic long term drug problem and therefore relapse rates are extremely high. In such instances, clients will want to consider inpatient or residential treatment in the state and discuss with a treatment counselor which options will work best for them.